Solving problems like this has been an activity used for many years to introduce students to the methods used for solving simple linear equations. It is a good analogy for developing the notion of ‘doing the same to both sides’ to keep the equation balanced. This challenge helped our class to use our brains first thing in the morning and we even managed to solve the problem. Year 5. We really enjoyed this starter. It was a good introduction to algebra. The graphics are (as usual) very high quality. 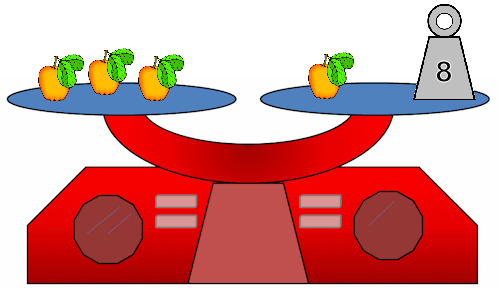 It would be amazing to have an interactive version of this (showing one balance at a time) that pupils could select what to remove from each side, then click a button to see those items go, maintaining the balance (or tip, if they've got it wrong), leading them to a step by step approach to solving / showing working, rather than just 'here's the answer' approach. Would be a brilliant teaching aid! This starter has scored a mean of 3.0 out of 5 based on 236 votes. 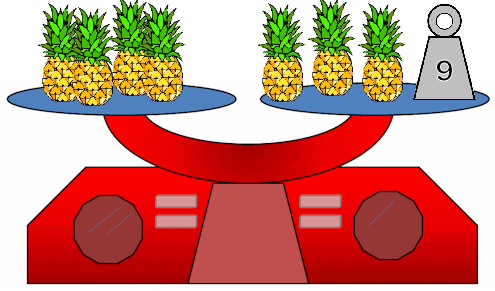 A pineapple weighs 9 units. An apple weighs 4 units. 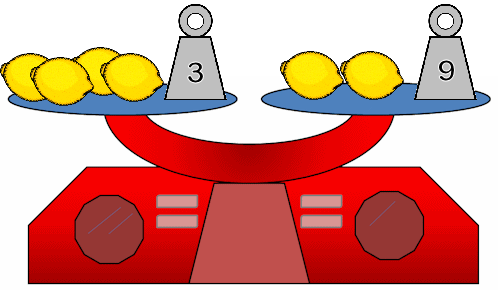 A lemon weighs 3 units. 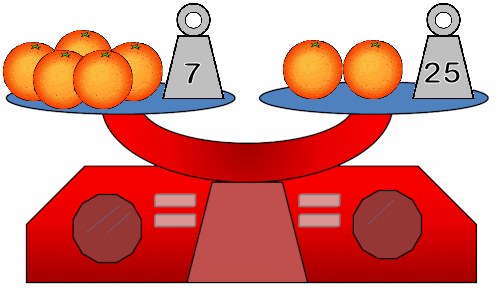 An orange weighs 6 units.